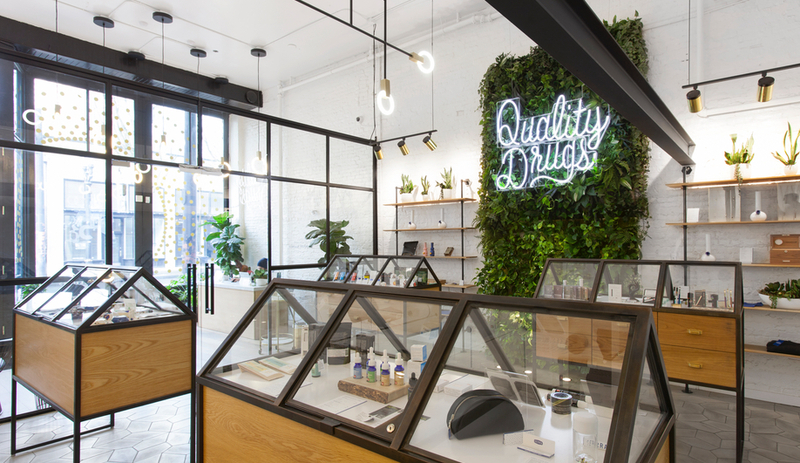 Walls and arches tinted a rosy hue define the latest outpost of global beauty brand Aesop. 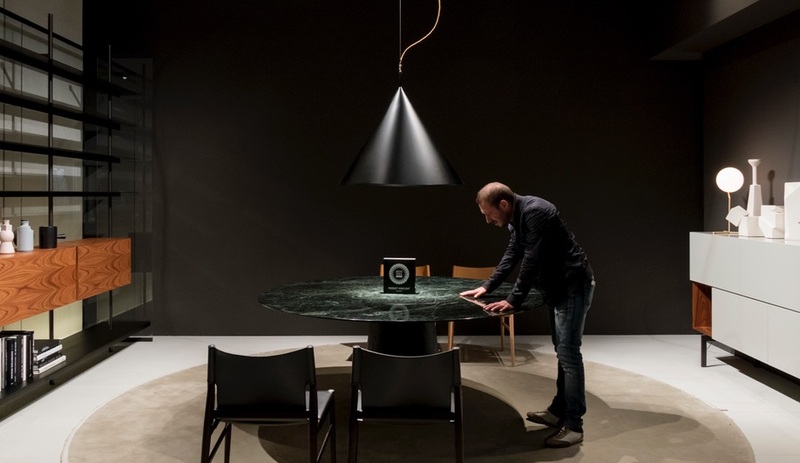 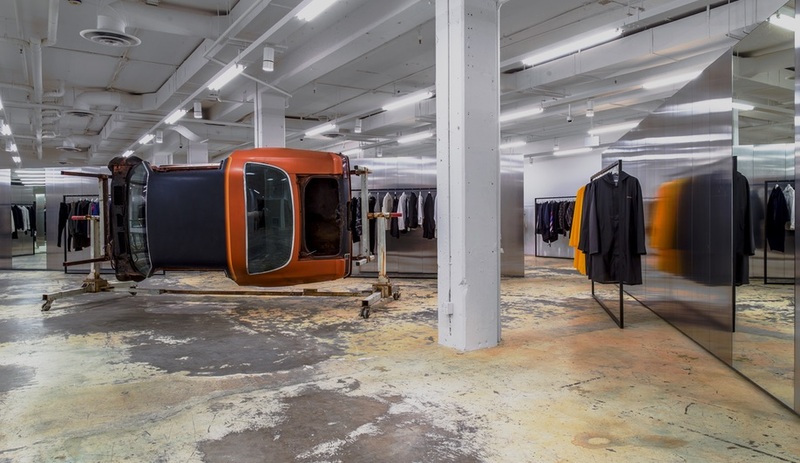 For Sneaker District’s Antwerp outpost, interior design firm Barde + vanVoltt created a space filled with custom displays, sneakers and a bold terrazzo counter reminiscent of Nike’s elephant print. 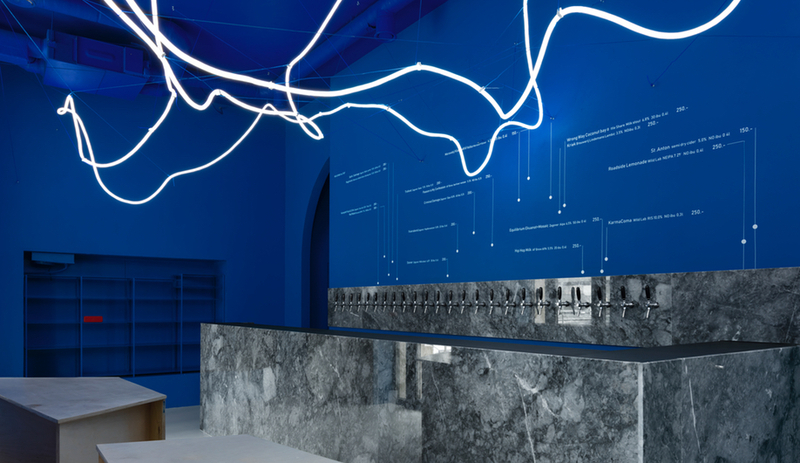 Russian studio Monoloko Design has reimagined Moscow’s Galaxy Bar and Bottle Shop with a monochromatic palette, Milky Way–inspired graphics, and a show-stopping light sculpture. 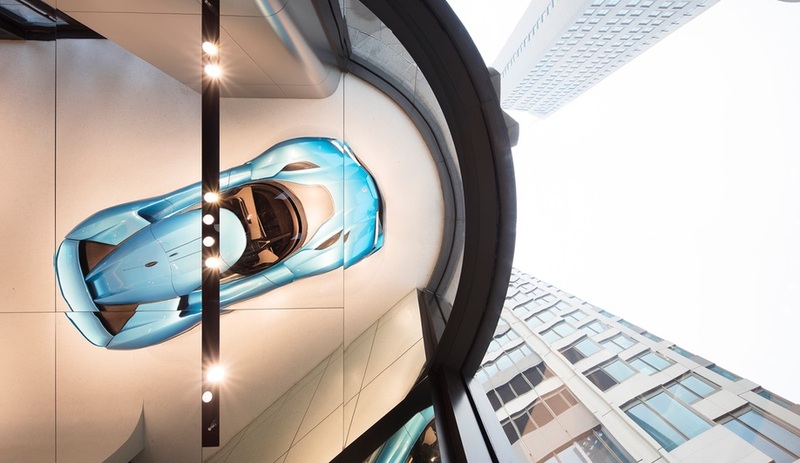 An art deco building is reimagined as a genre-busting concept store at Mason Wu’s Leisure Center, a high-end space designed by Casper Mueller Kneer. 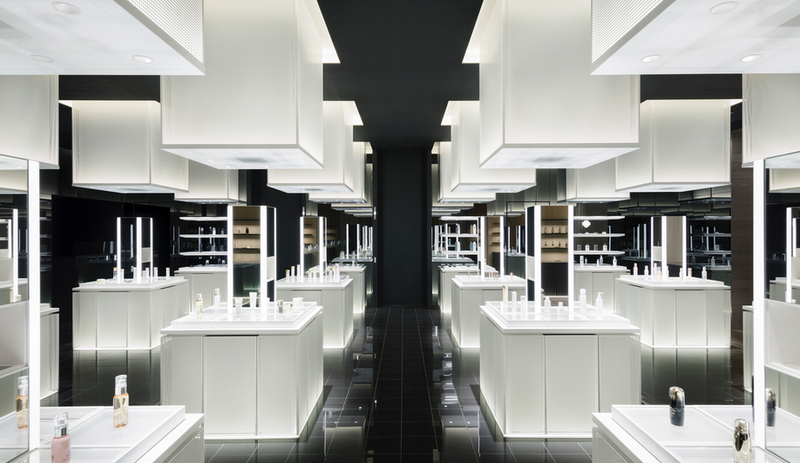 Nendo used actual makeup and real tools of the cosmetics trade to redesign the Shiseido flagship in Tokyo – and the changes are more than skin deep. 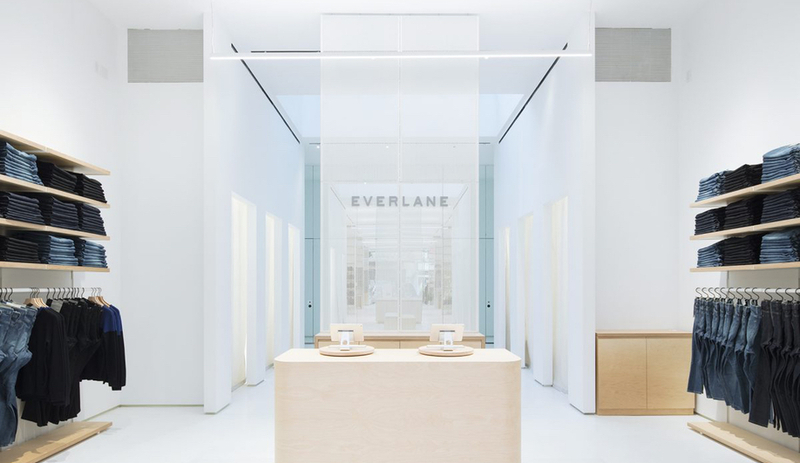 Manhattan’s Everlane flagship store, designed by Leong Leong, aims to bring the simplicity of online shopping to the physical world.